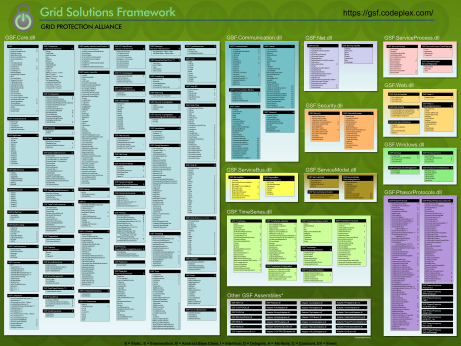 The Grid Solutions Framework (GSF) is an open source collection of .NET code used by electric power utilities and various open source projects. GSF contains a large variety of code useful for any .NET project consisting of hundreds of class libraries that extend the functionality included in the .NET Framework. It makes many of the more complex .NET features (e.g., sockets and encryption) easier to use and adds functions not included in the .NET. Product components in Grid Solutions Framework for developing time-series applications. 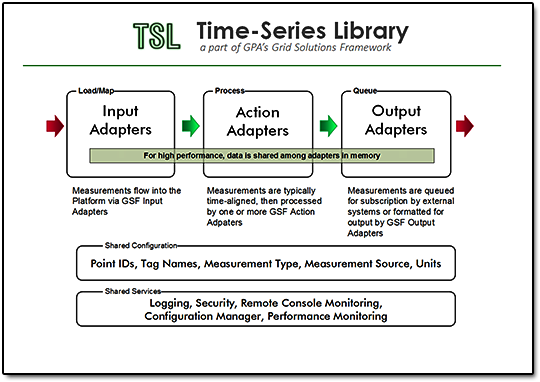 The open Phasor Data Concentrator (openPDC), Secure Information Exchange Gateway (SIEGate) and open Historian (openHistorian) are examples of time-series applications that use the Grid Solutions Framework. 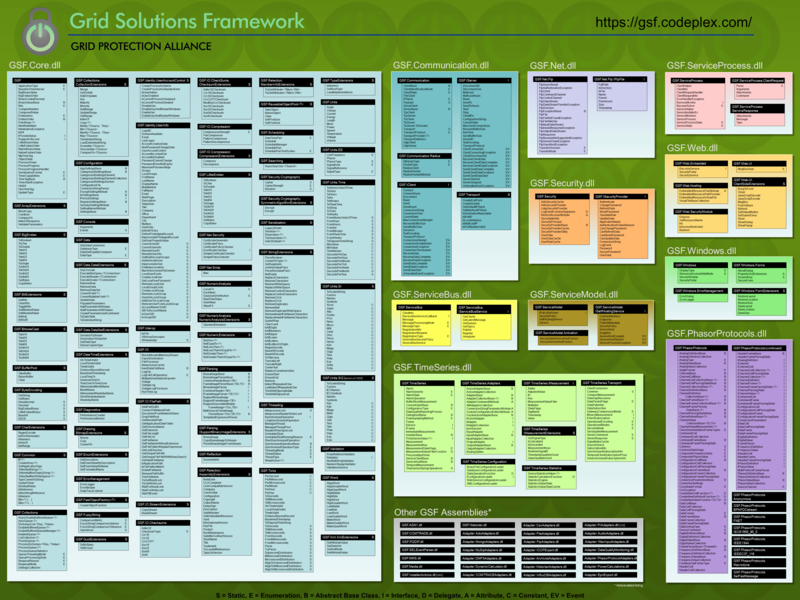 See Grid Solutions Framework Project for latest code. Copyright © 2018, Grid Protection Alliance. All Rights Reserved.